AL-WATANY FOR COTTON & AGRICULTURAL DEVELOPMENT CO.
ARABIA COTTON GINNING CO. S.A.E. BENHA COTTON TRADING & AGRICULTURAL CROPS CO. S.A.E. DELTA INTERNATIONAL FOR DEVELOPMENT & INVESTMENT CO.
EL-TOUKHY IMPORT & EXPORT CO. 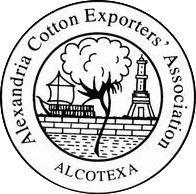 PORT SAID COTTON EXPORT CO. THE EGYPTIAN COTTON PRESSING CO. THE NILE COTTON GINNING CO.